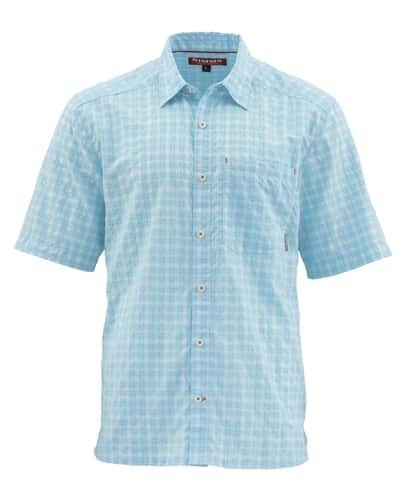 The Simms Morada Short Sleeve Shirt is lightweight, travel ready, and keeps it clean with a stain-fighting Teflon finish. The fly box compatible chest pocket is built for convenient change-ups, while off-shoulder seams and a traditional fit are perfectly synched for an ocean of all-day fishing motions. The Morada Short Sleeve shirt has been slightly updated this season. It's still the same good ol' fashioned shirt that we all know and love; it's just the pocket that has been updated.